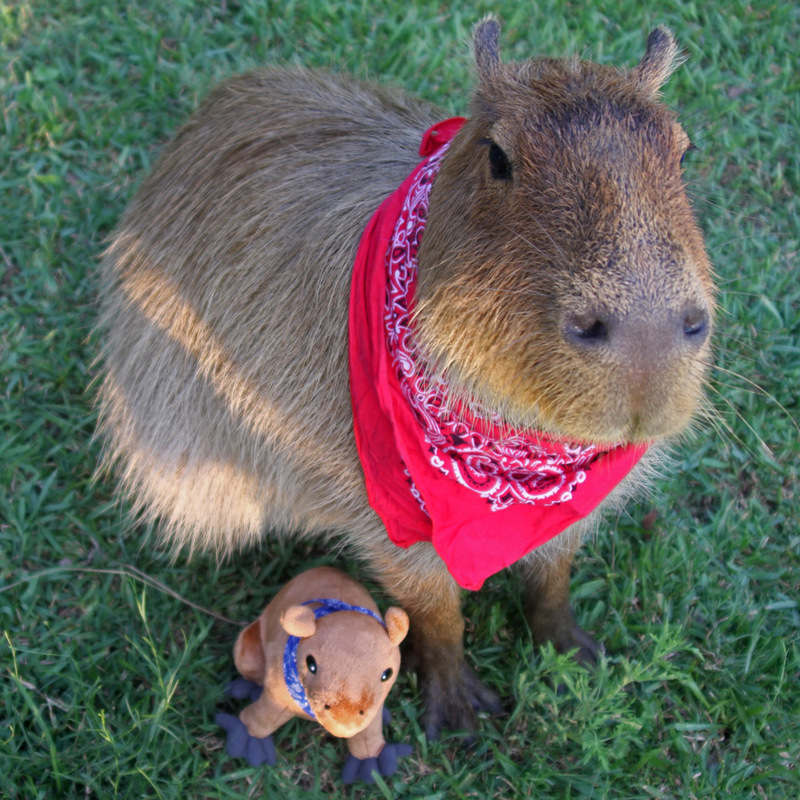 I have followed Caplin Rous the Capybara on his website, gianthamster.com, for about a year now. Unfortunately Caplin passed away at the beginning of this month. 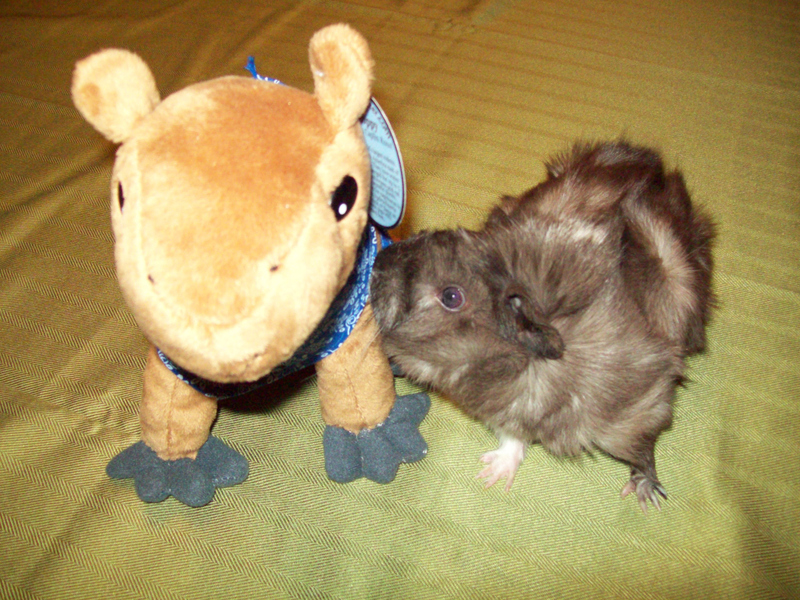 I know that I will miss you Caplin, and I wish your owner and all who loved you the very best. 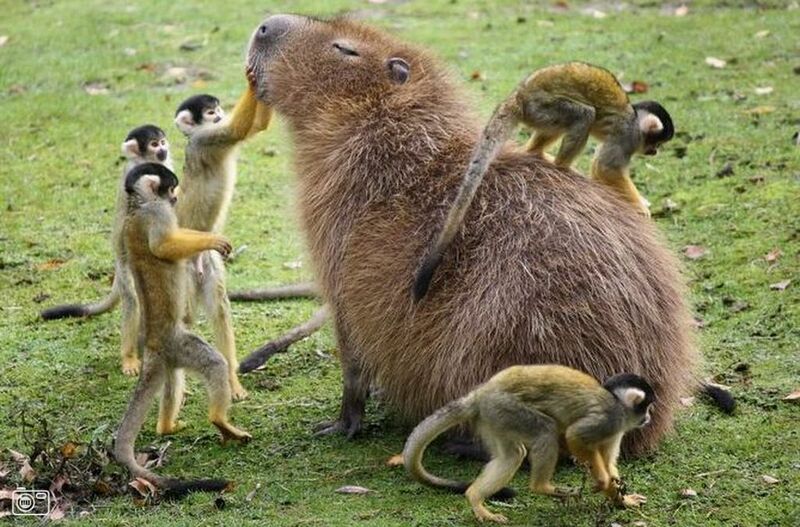 If you do not know about Caplin Rous I encourage you to check out gianthamster.com and see a life well lived by a Capybara. He was a wonderful ambassador for his kind, and I enjoyed seeing the world from his point of view. 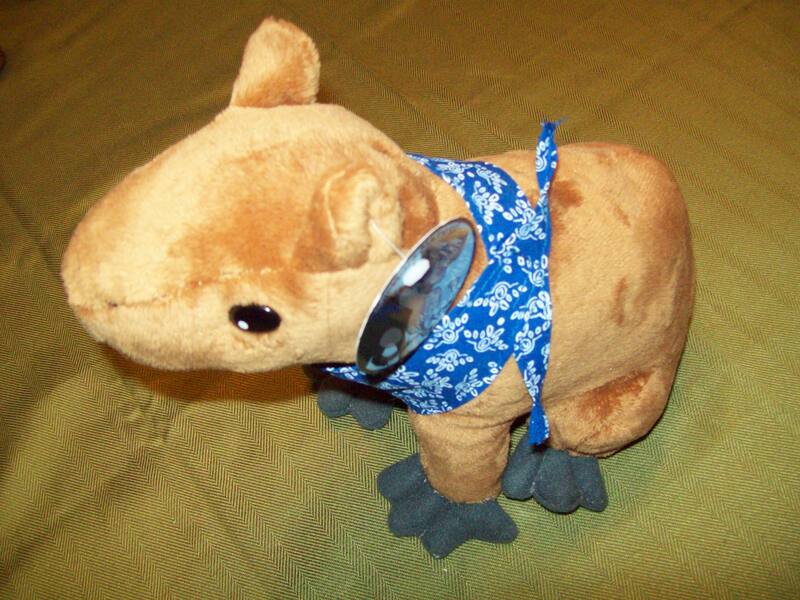 If you want to help Caplin’s owner out with his final medical expenses, or just to give money to a charity for medical care for Capybaras please visit Capybara Madness where you can donate, or purchase Capycoppies (the stuffed Caplin in the above photo) and calanders. 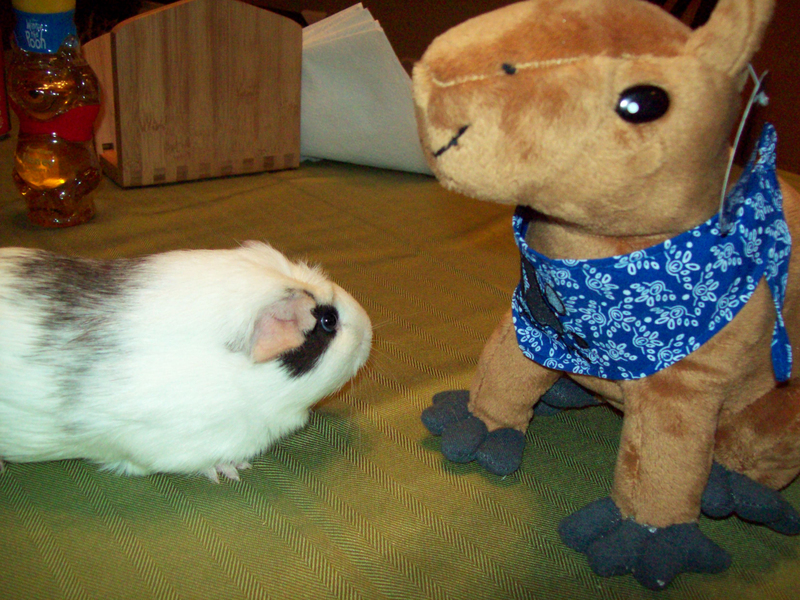 From everyone here at Puppy Bunny Guinea Pretty – we miss you Caplin!